Ericsson is launching SPT 2700, an energy-lean, cost-efficient new optical packet transport product that will enable operators to more effectively address the growing demand for consumer and business broadband services. SPT 2700 will support operators as they transform their transport networks for new bandwidth-hungry services like high-definition IPTV and fixed-mobile network convergence. 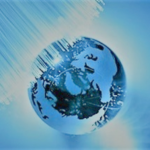 Telecom operators worldwide are deploying ROADM products in their networks because ROADM has been known to be better in terms of CapEx and OPEX savings than the legacy optical add/drop multiplexer (OADM) with fixed wavelength allocation. Once OADM is rolled out in the field, it is very difficult to change the network configuration or traffic patterns because the legacy OADM comprises fixed filters for demultiplexing and add/dropping. In most cases, therefore, the reconfiguration of an OADM network requires the time and efforts of experienced technicians. Finisar Corp. has introduced Quadwire, a 40- Gbit/sec optical link for data centers and high-performance computer clusters. Quadwire is a parallel active optical cable that provides a 40-Gbit/sec aggregate link via four 10- Gbit/sec full-duplex channels. Based on the industry-standard QSFP form factor, the new cable utilizes fiber-optic technology to transmit parallel high-speed data over ribbon multimode fiber. Adding new hopes to the continent, installation work of 15,000 km fiber-optic undersea cable by SEACOM that links African countries with India and Europe is going as per the schedule. The South Africa, Mozambique, Madagascar, Tanzania, Kenya and Ethiopia to India and Europe, remains firmly on schedule to become the first cable to link east Africa to the rest of the world.